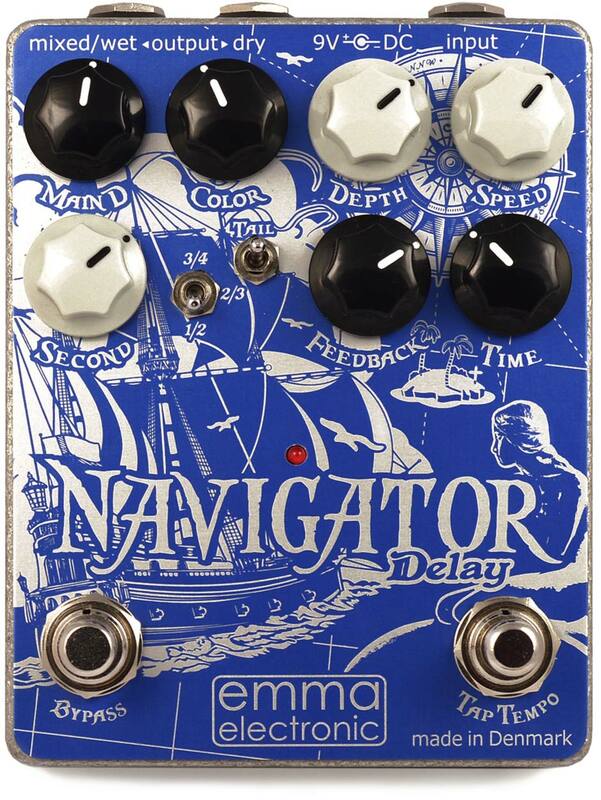 Plot a course of discovery to new sonic territories with the Navigator Delay from EMMA Electronic. The Navigator is the pinnacle of elegant simplicity – it offers everything you need in a delay pedal, and nothing you don’t. Tap-tempo, modulation, beat-splits, trails, wet/dry outputs – All this and more in a compact, pedalboard friendly package that’s simple to use. Combining the best of analog and digital technology, the Navigator offers practical, usable delay functions in a unique configuration that can generate classic delay tones as well as many unique new sounds. The Navigator’s hybrid circuit keeps the dry signal path 100% analog to avoid signal latency and digital sterility. The delayed signal is created using a custom-coded DSP that allows for delay times of up to 1 second which can be adjusted via tap-tempo and also beat-split to create rhythmic, “multi-tap” effects. The delayed signal is then fed back into the analog realm where Color, Level and Feedback controls add additional warmth and realism to the effect. Lastly, an optional digital modulation section can create a variety of secondary effects, from tape echo “warble” to lush chorus and flanging. Perhaps the most unique feature of the Navigator is a separate Level control for the second, beat-split delay repeats. This option allows the user to emphasize the second delay voice, or to turn the main delay off entirely to create interesting new rhythmic effects. The second delay has the option to be set at one-half, two-thirds, or three-quarter intervals against the main delay, allowing for “dotted eighth” and other classic multi-tap delay effects. TIME – Controls length of main Delay repeat. 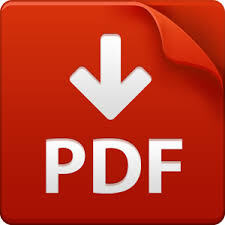 FEEDBACK – Controls amount of Delay repeats. MAIN D – Controls level of main Delay voice. SECOND – Controls level of beat-split Delay voice. COLOR – Controls the tonality of the Delay voice, from dark to bright. SPEED – Controls rate of Modulation from slow to fast. DEPTH – Controls degree of Modulation from subtle to extreme. BEAT-SPLIT SWITCH – Selects between one-half, two-thirds, or three-quarter intervals for the secondary Delay voice. TAIL – Turns on “delay trails” function so that repeats will continue after the Navigator has been bypassed. TAP TEMPO – Allows user to tap in the Delay time with their foot. WET/DRY OUTPUTS – When run in stereo, the Navigator splits wet and dry signals to separate outputs. INPUT PAD SWITCH – Internal DIP switch for selecting between high and low level input signals. POWER – 9-Volt battery or 9 VDC power adaptor w/tip-negative polarity. Low, 70mA current draw works off majority of “brick-style” multi-output power supplies. BYPASS – Buffered bypass with low impedance output. The Navigator may be the most feature-laden, compact Delay pedal on the market. More importantly, it simply sounds gorgeous. If you’ve been lost in the sea of digital despair, let the Navigator lead you home to land of tonal bliss!